Home » Business » Al-Jezeera Acquires Current TV, Wants to Kill it! Al-Jezeera has acquired Al-Gore’s Current TV and the only plan it has for its future is the grave. Al-Jezeera has taken-over Current TV only for the fun of killing it, we might be exaggerating a little bit more here. But yes, thats the truth. Al-Jezeera is only interested in Current TV’s access to 50 million American households. Which it plans to using to create a name in American media. Current TV rose to it’s heights during the Bush Administration, who found Current TV was it’s nemesis. After the end of Bush era, Current TV had a very rough time surviving. Time Warner Cable announced that it is dropping Current, which is reported to receive low ratings compared with other news networks such as MSNBC, CNN and Fox News, from 10 million households (leaving 50 million with access to the network). Al-Jazeera says the U.S. network will be based in New York, and the broadcaster plans to expand its bureaus in the United States, doubling its U.S.-based staff to at least 300. Current attempted to take on MSNBC when it hired that network’s ex-star, Keith Olbermann, but the Al Gore property, which doesn’t have an HD channel, could not deliver the viewers and ultimately suffered a high-profile falling out with Olbermann. 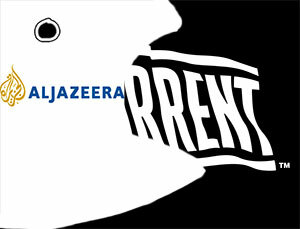 Al-Jazeera may have paid as much as $500 million for Current—or Current’s distribution network, rather. Ron Franklin grounded for calling Jeannine Edwards "Sweetcakes"
Previous: Producers Guild Awards 2013, Nominations Announced! Next: Emma Watson on Cover of Marie Claire UK’s Feb 2013 Issue!